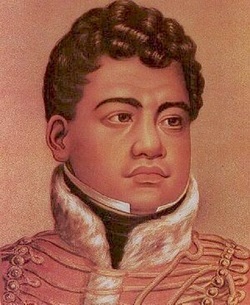 King Kamehameha II was the second King of Hawaii. He was born in 1797 and died on the 14th of July 1824. He married five time and had no children. His reign was from the 20th of May 1819 to the 14th of July 1824. His reign lasted for 5 years and 55 days.